We have reached yet another amazing list of apps to tell you about for the month of August. Our team has come up up with many new amazing finds that can be used on your android device, no matter what’s brand or how old your phone is. The apps are not all new but have impressed us the most in terms of usability and features. We’ve selected our best few and hope you find them as useful as we have. The list below is in random order and includes various apps that offer different options and features to suit all. Here is our list of best apps worth downloading from the Android store for the month of August. 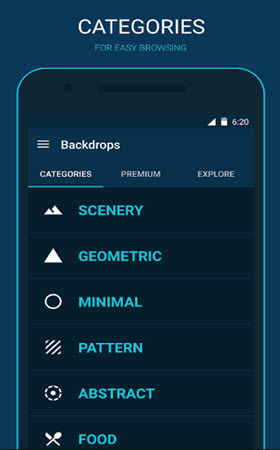 Backdrop is a wallpaper app with a difference. The images have been designed by the developers and actually move on your screen as your switch between pages. The app comes with various settings that let you change the background according to holidays, time of year, and much more. The app is updated daily with new pictures and themes, which let you take full control of what your phone features. The wallpapers can be downloaded or applied directly from the app. You can also like the best ones and find them easier when looking for something fresh on your display. 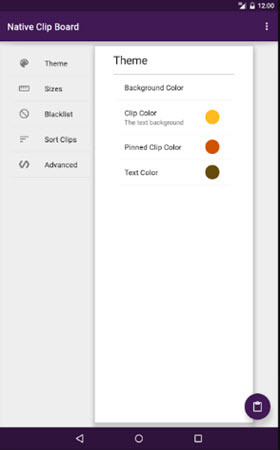 Native Clipboard is a copy a paste app that makes texting a lot easier. Many of us have certain things like our address that we are forever copying and pasting to avoiding having to type everything each time. With this app, you can simply double tap on any text box and have a window appear in front of your keyboard. Each time something is copied it is then added to this board. You can then save it, so it’s always there or creates new entries that makes it easier to share the same info. Once the board has been opened, you can tap on the text you want, and it will automatically type it into the text box, all you need to do then is press send. Portal is the easiest way to send files between your PC and mobile device. Once the app has been downloaded, simply visit the website and register your free account, scan the barcode with your phone to allow commutation and you will find a green bar at the top of your screen. Just drag and drop files to this bar and send them to your phone. The app will hold onto any files received from which you can choose other places to store it. The app is very easy to use and has made file transfers a lot easier with the added benefit that no USB cables are required. Solid Explore is a file manager that put everything in one convenient app. You will be able to manage all your files here, including deleting those you no longer need, searching, sending files on various platforms including email and social media. The app can also manage your cloud accounts, allowing you to see duplicates between your phone and could accounts. This is a great app to keep control of your storage. The app also includes mods that let you choose themes and special icons for folders. Monospace Writer might seem like a basic note app at first, but once you get into the features and options of the app, you will be amazed. The app can be used for normal notes, but it’s also great for longer writing such as a novel. Instead of having folders you can save all your files with a hashtag. This means you simply search with the hashtag to find your files and the app will automatically group all the same tags together. Writing options include almost all those you would find with Microsoft Word. This concludes the apps for this month for your Android device. Be sure to download the ones you find most appealing and check out what additional options and features they have to expand the features on your device and make it a lot more enjoyable.